At last, Spider-Man is back where he belongs – standing among his fellow Marvel heroes as part of the MCU. As the mega-positive reviews suggest, Spider-Man: Homecoming is perhaps the most faithful rendition of the friendly neighborhood wallcrawler we’ve had on the big screen yet, and we couldn’t be happier about it. This commitment to bringing the Spider-Man of the comics to life in the MCU extends to stuffing the movie full of easter eggs and references to the character’s adventures on the page, as well as nods to previous Marvel films. MCU efforts always love their easter eggs, but Homecoming is arguably more fuelled by them than most. Spider-Man has had such a full and famous history over the decades that there are a lot more awesome things to squeeze into the narrative than perhaps with any other Marvel hero. 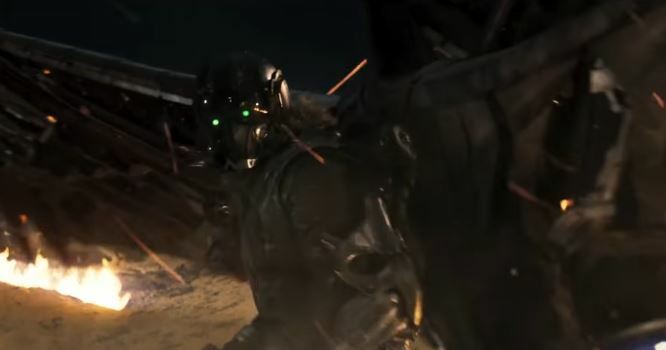 With a massive spoiler warning in place – as we will be diving in to the full plot of the movie – join us as we run through 10 amazing easter eggs you should look out for in Spider-Man: Homecoming. If you’d rather go into the film cold, feel free to bookmark this page and come back later. Still here? Good, let’s begin.